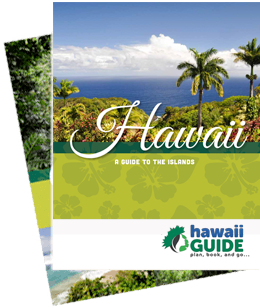 Here at Hawaii Guide, we have hiked many miles of trails throughout Hawaii and every step has been an adventure. That said, we have come to two conclusions: First, we think Kauai is home to the best hiking in Hawaii. Second, a hike with an experienced guide takes a good hike and makes it phenomenal. The takeaway: If you’re planning a Garden Isle getaway, be sure to hire what just may be the best adventure guide on the island- Tread Lightly Kauai Tours. Tread Lightly Kauai Tours is headed by Jay Dorrance and offers private light hiking and sightseeing tours that are fully customized to your personal preferences and physical abilities. Do you know exactly what you want to see and do? Great! Tread Lightly Kauai Tours will work with you to get you to that little out-of-the-way beach, that rugged coastline, or that rainforest filled with the tropical flora and fauna of your dreams. Or, maybe you’re not sure what you’d like to do… maybe your wish list includes something like ‘Take me where the locals go and have me sipping coconuts on the beach!’ If that’s the case, you’re in luck, too, as Jay knows all the best places and can also crack a mean coconut. With Jay and Tread Lightly Kauai Tours, you and your party will enjoy a completely personalized and exclusive tour- no worrying about keeping up or going too fast, no hassles, and no coordinating with other peoples’ schedules. You’ll be able to see and experience Kauai’s rich history with an exceedingly knowledgeable, friendly, and experienced guide who embodies the aloha spirit and who does, indeed, tread lightly on the enchanted lands of Kauai. Waterfall Adventures- Some of the world’s best waterfalls can be found on Kauai- both famous and relatively unknown outside the island. If you have a particular waterfall you’d like to see, Jay can likely take you there. Or you can choose to hike the beautiful Kauai backcountry and explore lovely falls that most tourists will never see. In fact, many of the trails and falls Tread Lightly Kauai Tours loves are known mainly to locals. This means it’s not uncommon to have a scenic spot or trail all to yourself! Kauai Movie Tours- The Garden Isle has served as Hollywood’s go-to spot for “tropical paradise” locations since the 1930’s, as it truly is just that. The beauty never ceases on Kauai and has been immortalized in nearly one hundred movies and TV shows so far. Have a location you’d love to see? Just let Jay know. From the thrilling world of Jurassic Park to the home of Gilligan’s Island; explore it all… without getting stranded, of course. Whether you’re looking for scenic overlooks, pristine beaches, jungle treks, family-friendly adventures, or even shopping trips, Tread Lightly Kauai has the perfect adventure for you. Book Your Private Kauai Guided Tour Now! Why Choose Tread Lightly Kauai? Jay Dorrance has been exploring Hawaii’s natural wonders since the early 1970’s. His late father authored several books relating to Hawaiian history and was a local newspaper columnist for many years. He instilled in Jay a love and appreciation for Hawaii and encouraged him to explore to his heart’s content whenever he could. Today, Jay and his wife Karen live on Kauai’s east side on a small fruit farm. They appreciate and respect Kauai; never cease to be amazed by her beauty; and are eager to share their love, knowledge, and passion for the island with you. Fully customized and personalized tours. Hiking: from easy walks to more challenging treks. Choose from undeveloped coastline, mountain overlooks, waterfalls, pristine streams, bamboo forests, and more. Walk some, grab some lunch, then shop in the afternoon- it’s your adventure, you decide! Explore charming old towns, sugar mills, and ancient Hawaiian structures- a history buff’s dream. Sample fresh in-season fruits from Jay’s farm. Eat at one of the locals’ favorite eateries or grab a picnic lunch to enjoy on the beach. Photographers will love visiting the most scenic spots on Kauai. Not only do we recommend Jay and Tread Lightly Kauai Tours, but we also encourage you to book an adventure with him. He is a true steward of the magical land of Kauai and your Garden Isle excursion with him will most certainly be a profound experience. This content is sponsored by Tread Lightly Kauai Tours. Guide of US is a travel destination media and marketing company that receives compensation from companies or organizations whose products or services are promoted on this site. We review and evaluate the services of each company to ensure they meet our highest quality standards for travelers. We are independently owned and any opinions expressed herein are our own.